Discover Old-fashioned quality service with Northwestern Vermont's leading home heating fuel dealer! Where Quality Never Goes Out of Style! One stop shopping for all your heating oil & propane needs! 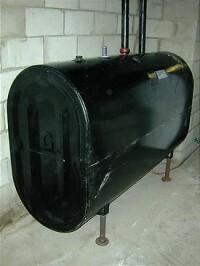 If you need a new tank, and live in Vermont, you may be eligible for cash back! Whether it's to heat the water in the locker room showers or to keep the hot dogs hot, the team at Patterson Fuels are an essential part of ensuring the Vermont Lake Monsters can create memories at Centennial Field all summer long.